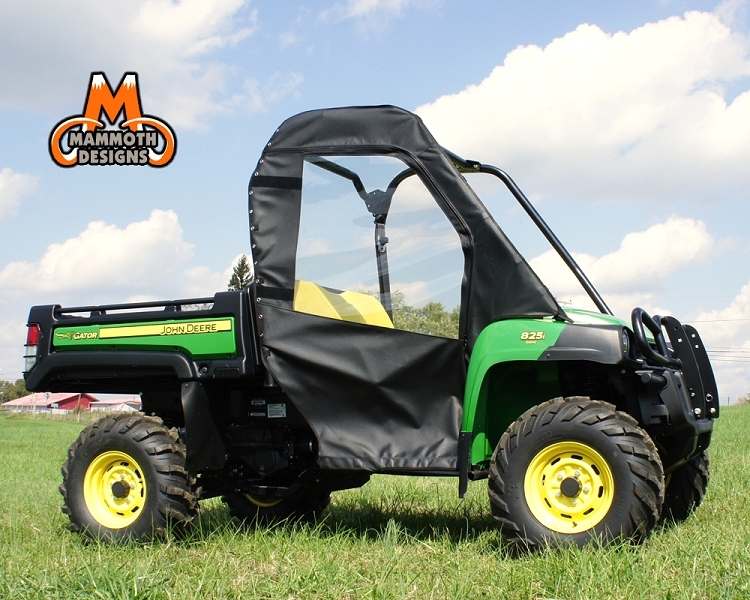 This Soft Door Kit is designed and customized specifically for your John Deere Gator HPX & XUV. 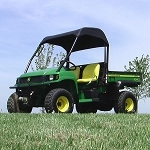 It is handcrafted and measured to ensure a precise fit on units with or without a pre-existing hard canopy and windshield! Helps to provide protection from the elements whether it be rain, wind, hail, snow, sleet, dust, sun, and debris and incorporates soft doors. 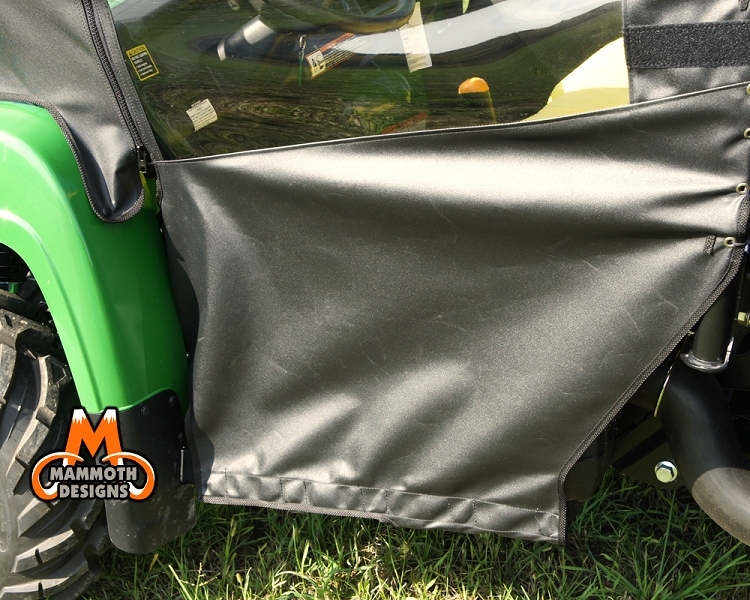 The Soft Door Kit provides superior protection from the elements at an affordable price. 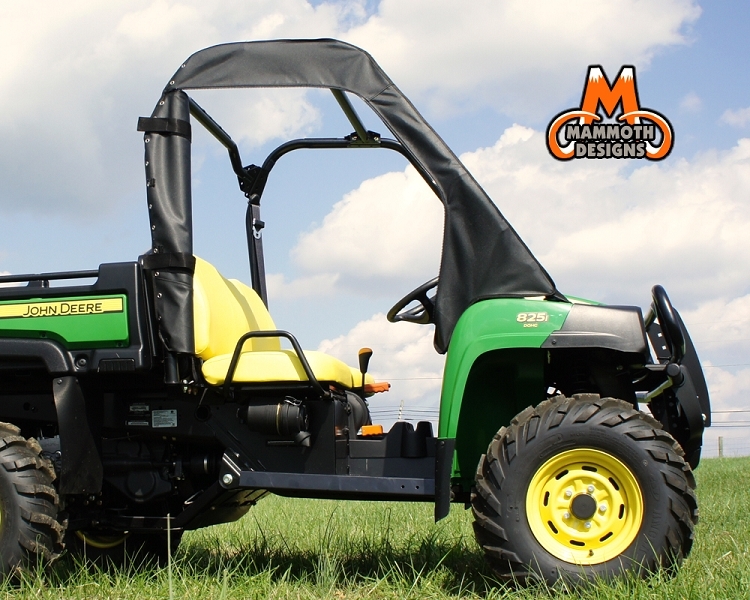 *Canopy, rear windshield, and front windshield sold separately. I might have preferred hard doors to match my existing hard top, windshield, and rear window, but the cost was outrageous. The soft doors came in at $2k+ less than the hard doors! As advertised, the soft doors fit with the existing "hard" components. Materials appear to be quite rugged. The only thing I didn't anticipate (not a complaint about the product) is that the material between the window and front tube (where the sideview mirrors mount) interferes with the view of the existing sideview mirrors. If you don't have sideview mirrors yet, you might want to get "towing style" mirrors.